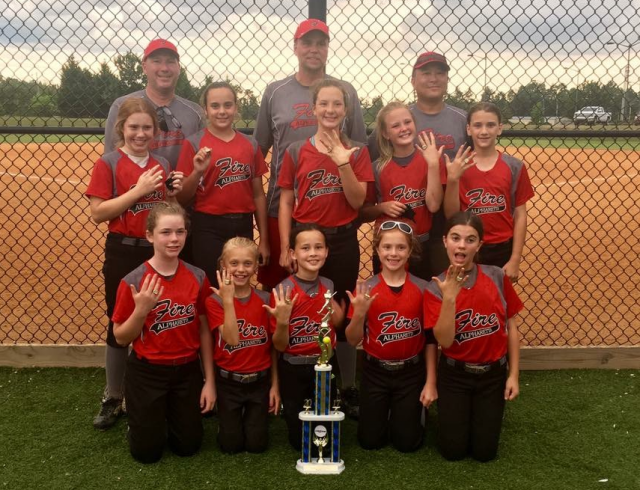 Updated Tuesday June 6, 2017 by Alpharetta Youth Softball Association (AYSA). The 06 Alpharetta Fire won the 2017 USSSA Georgia State B Championship in Dublin, Ga on June 3-4, 2017. The team went undefeated for the tournament !! The 06 Fire is now 56-17 on the season, and has trophied in 8 tournaments, playing a challenging schedule. Congratulations to these fantastic players and kids ! !